Our vision is for a railway track system that is efficient in terms of embodied carbon, materials use and cost; robust in requiring little maintenance; and unintrusive in producing little noise. Realising this ambition will require a coordinated programme of research in which each research challenge informs and influences the work and direction of the others as work progresses, providing a dynamic and adaptive research culture. This will enable us to progress on several fronts in parallel, rather than by a series of consecutive research projects. The team comprises world-leading engineers and scientists from different disciplines and universities, working together alongside key industry experts, to apply their collective expertise and insights. We work closely with Network Rail, who provide access to the rail network for field trials and undertake joint research projects. They contribute significant funding both to support the programme and sponsor doctoral students. Several members of Network Rail staff sit on our Industry Steering Groups, which they also chair. HS2 contributes staff time and technical data to the programme. They benefit directly from advances in understanding of the underlying principles of track component performance, including switches and crossings. They plan to help with disseminating our results and chair our International Scientific Panel, a group of senior academics whose role is to ensure scientific excellence. The London Underground carries over one billion passengers a year and its service patterns are changing to support a 24-hour city. As a member of our Industry Steering Group LUL provides guidance on the direction of research and track access for field trials. Progress Rail Services Ltd specialise in track works such as switches and crossings, turnouts, hollow steel bearers and the like. They are strongly engaged with Research Challenge 2 in particular. They are contributing expertise, providing access to test facilities and participating in the Industry Steering Group. Pandrol Ltd supplies railway fastening systems in the UK and throughout the world. 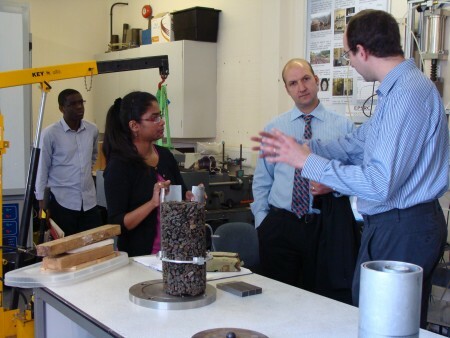 They have a history of undertaking and supporting research into track deterioration mechanisms and railway noise and vibration. Their contribution to the programme includes the provision of samples and materials, access to data and membership of the Industry Steering Group. British Steel is at the forefront of developing new rail metallurgies for improved life-cycle performance, and has a continuing interest in developing track systems that produce low levels of noise and vibration. The Trackform and Pavement Design teams at Aecom are undertaking collaborative research with the T2F partners and aim to transfer research into practice. They bring a consulting engineer’s perspective to the Industry Steering Group. RSSB has a central role in the delivery of the UK Rail Technical Strategy and is well placed to ensure that our research is aligned with the 30-year technical direction of the industry. It is a key link between the academic community and the rail industry. The Rail Industry Association represents around 200 companies working in the GB rail supply sector, embracing multi-nationals, SMEs and specialist companies. It has been at the forefront of encouraging the industry to be more innovative. Consolis SBC is a major supplier of concrete railway sleepers and bearers. They have an interest in the development of innovative sleeper shapes. 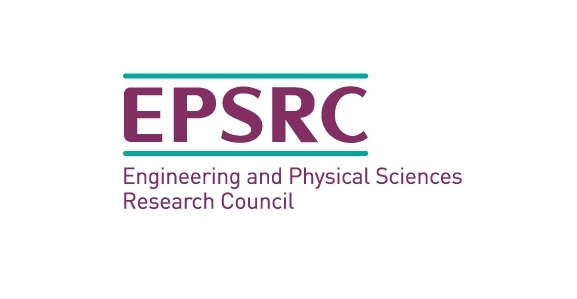 Track to the Future is a programme grant funded by EPSRC, the Engineering and Physical Sciences Research Council. Industry partners will help steer the investigation into the areas of greatest practical value, and will then provide routes for taking up the research findings into practice.